Located on the south shore of the St. Lawrence River, the city of Rivière-du-Loup is a prime tourist destination, with its magnificent scenery, the vast array of activities it has to offer, its vibrant cultural life and, to top it all, some of the most beautiful sunsets in the world. Here are 7 reasons that will convince you to add Rivière-du-Loup to your itinerary during your vacations in the maritime regions of Québec. 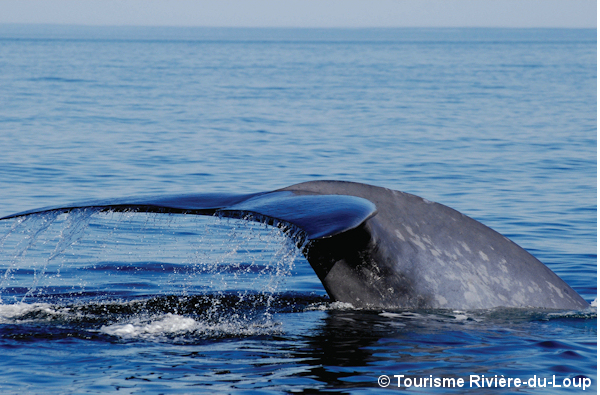 One of the best places for whale watching in the world, the Saguenay–St. Lawrence Marine Park, is located offshore from Rivière-du-Loup. Get onboard with Croisières AML and take advantage of the only starting point on the south shore for a sea tour to watch whales and belugas. The tour also provides you with unique views on the gorgeous seashore and chain of islands of the St. Lawrence River. Your chances to spot and watch marine mammals are so good that Croisières AML offers an “exclusive whale warranty”. Did you know that you could spend the night in the middle of the St. Lawrence and wake up to the sound of a whale’s blow or of common eiders cooing? You will find on Île aux Lièvres (Hare Island) several camping sites, a cozy six-room inn, as well as comfortable cottages secluded from one another, with a capacity of four to six people each. You can also experience the life of a lightkeeper for one night, by staying at the lighthouse on Pot à l’Eau-de-Vie (Brandy Pot) Island (which, like Île aux Lièvres, is under the protection of Société Duvetnor), or in one of the nine rooms of Maisons du Phare, adjacent to the lighthouse on Île Verte, some 30 km east of Rivière-du-Loup. Whichever option you choose, you will appreciate these islands’ authenticity and peacefulness that will leave you with a pleasant feeling of stepping back in time. 3. Experience the magic of Christmas… even in the summer! Even if Christmas is only in December, nothing prevents you from living the magic of the holiday season anytime of the year! 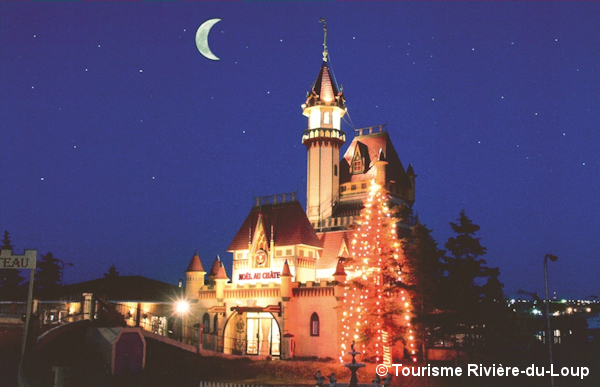 It’s possible at the Christmas Château, one of the loveliest attractions dedicated to this traditional holiday. Take a guided tour to discover ornaments, customs, practices and collections from around the world. There’s also an exhibit that is renewed every year. And after your tour, take the time to stop at Québec’s biggest Christmas store, where you will find small souvenirs as well as genuine works of art. 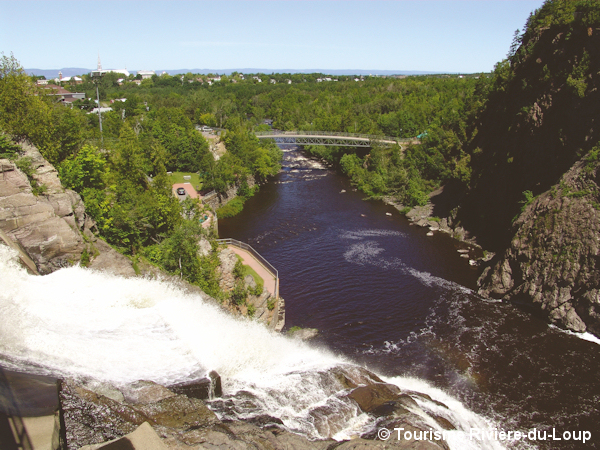 Parc des Chutes is a vast 53-hectare green space located right in the heart of downtown Rivière-du-Loup. The setting is absolutely breathtaking, dominated by an impressive 33-metre high waterfall. It’s an ideal location for hiking, with an impeccable trail network, and it’s also the perfect spot to have a quiet picnic with your friends or family, just to take a break during your fun-filled day. Rue Lafontaine, the main street of downtown Rivière-du-Loup, can boast about its particularly well-preserved character. With restaurants, pubs and bars for every taste and every budget, it comes to life even more in the summer when people crowd the terrasses along the street, savouring their dinner outside and enjoying the night in a warm atmosphere. 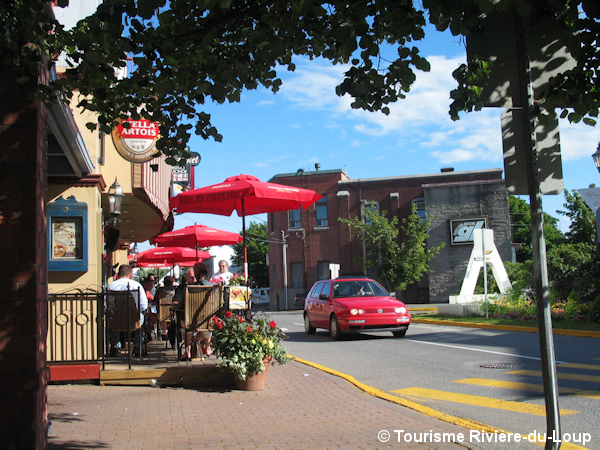 Take the time to stroll about and chat with the locals; it’s the best way to truly feel the pulse of Rivière-du-Loup. 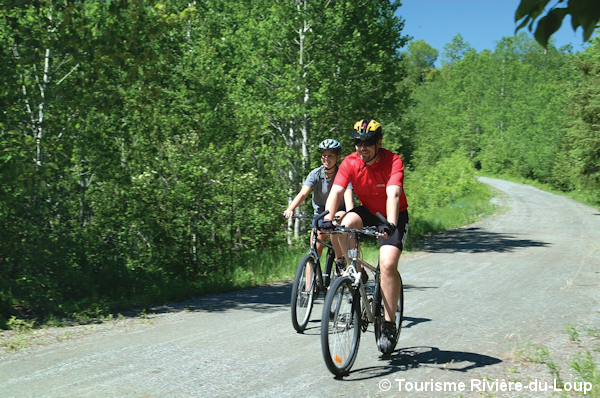 Cycling enthusiasts have several options around Rivière-du-Loup. Most notably, the city is the Northern terminus of Petit Témis Interprovincial Linear Park. Laid out on a former railroad, the linear park is a 134-km long gravel path, exclusively reserved for cyclists and pedestrians. The North section offers lovely landscapes, wandering through forests and along rivers and beautiful Lake Témiscouata. There are several rest areas along the way, and even a snack bar. Experience bike touring at its best and spend the night at one of the three camping sites along the trail, each with five easily accessible platforms. 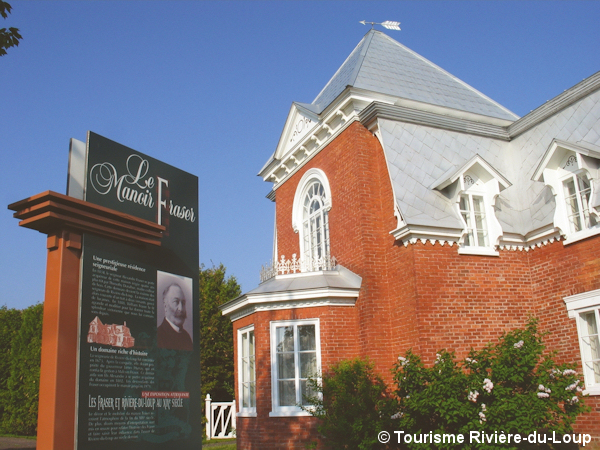 The Old Rivière-du-Loup historic district has an exceptional architectural heritage, which bears witness to the past of a gateway city. Houses, manors and buildings from the 19th century follow one another, most of which are well-positioned to enjoy a unique point of view on the St. Lawrence River. Explore this part of town by taking the Histoire et Trésors Walking Tour with its 24 information signs, and appreciate the highlights, such as the Manoir seigneurial Fraser, the St. Bartholomew Protestant chapel, as well as the many elegant wealthy residences. Are you ready to plan your stay? 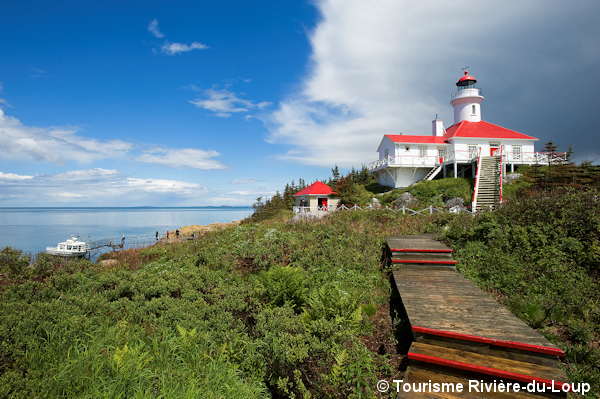 Start by checking out our getaway ideas for Rivière-du-Loup!